This easy cake recipe marries the flavors of traditional pound cake and that holiday party staple: eggnog! We started with this mouthwatering sweet potato casserole and modified the toppings to satisfy lovers of crunchy pecans and cornflakes as well as marshmallows. Welcome Santa's arrival, adult-style, with this fruity vodka cocktail featuring orange juice, maraschino cherry juicy, and lemon juice. Who says margaritas are just for summer? Celebrate the holidays with this festive frozen drink featuring both cranberry juice cocktail and fresh cranberries. Reserve some of those fresh berries to make a simple garnish. Layer the sweet ingredients for homemade peppermint hot chocolate in a jar, add a ribbon and a tag, and you have a simple but stylish holiday gift. This 5-star cinnamon apple cake is one of our best-ever recipes and can be served as dessert or a breakfast coffee cake. Take your pumpkin pie to the next level with a homemade pecan streusel and ginger-spice topping. French fried onions aren't just for green bean casserole anymore! 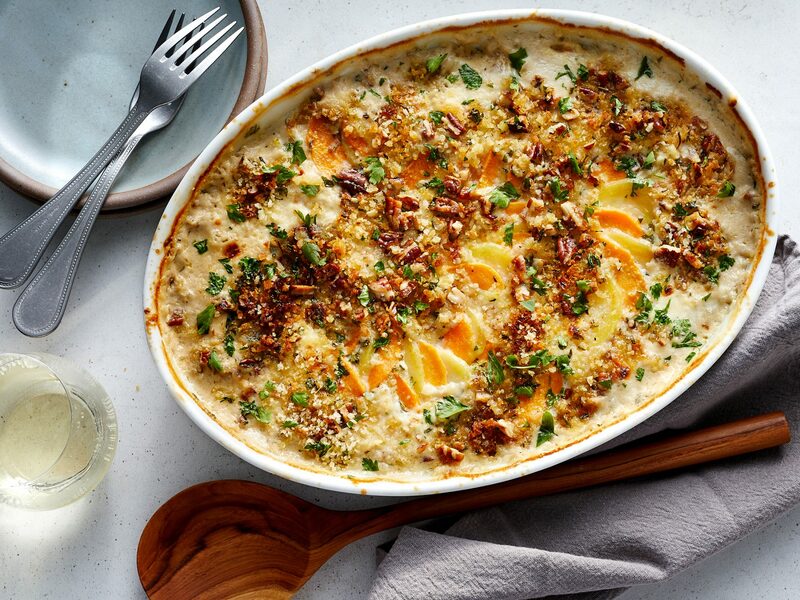 Top this savory squash casserole with a hearty handful of fried onions for a delicious twist on a classic holiday side. This classic recipe has a rich, soufflé-like texture without the hassle. 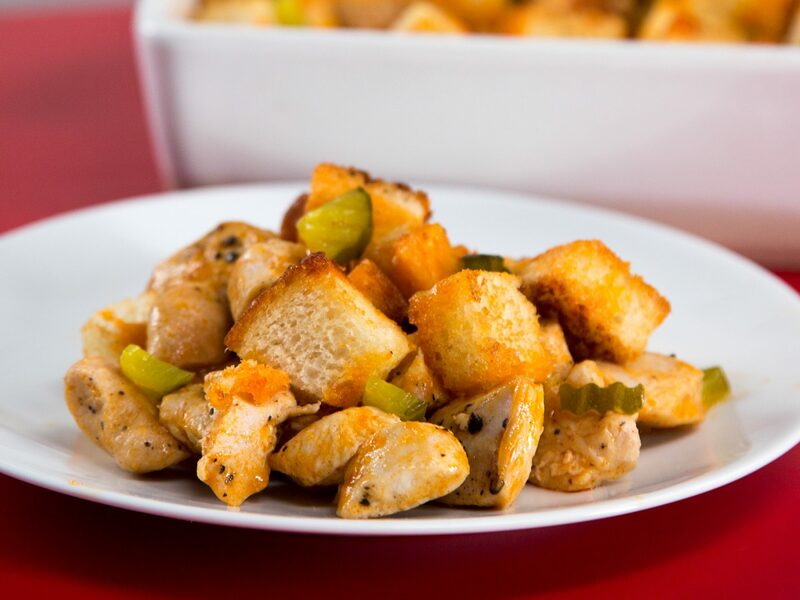 The result is an impressive holiday side dish the entire family will love. We like to add chopped fresh chives on top. Making your own fudge is a fun-filled holiday activity! We love this white chocolate version studded with chocolate sandwich cookies. The name says it all! These 5-star mashed potatoes require just 4 ingredients (plus salt and pepper) and are the perfect addition to your holiday table. For a classic holiday cookie, try these almond snowballs. Simply form dough into balls, bake, and dust with powdered sugar. Salt + chocolate = fantastic holiday flavor. This delicious toffee treat makes a great gift for friends and family. It's no wonder that this eye-catching candy cane cake is so popular on Pinterest! For a quick and easy version, purchase a ready-made angel food cake, frost, and sprinkle with crushed candy cane pieces.